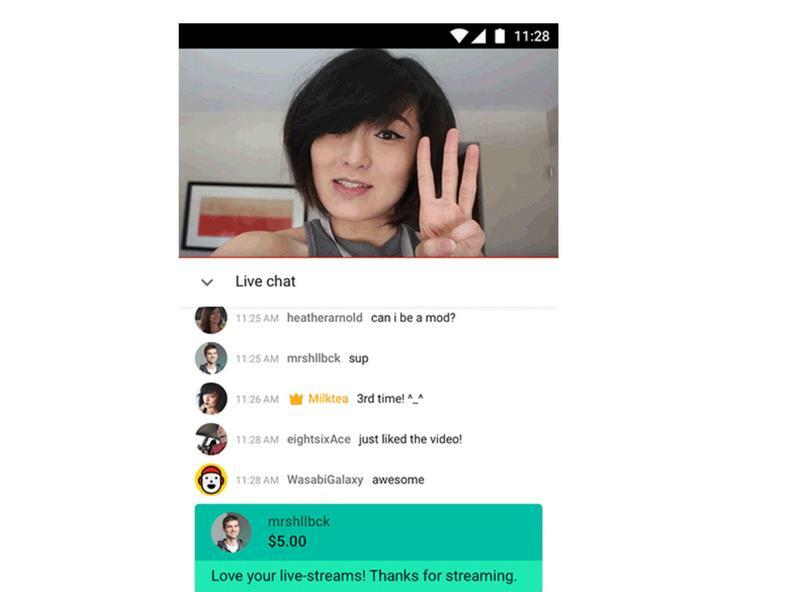 YouTube announced a new premium feature called "Super Chat" this week. It lets commenters on specific channels (for now) pay money to have featured chat messages during a live stream. It's a unique new revenue source and something that will certainly appeal to YouTubers who want creators and other viewers to see their messages. "Today, we are introducing our latest tool for fans and creators to connect with one another during live streams: Super Chat," Google said. "Anybody watching a live stream can purchase a Super Chat: a highlighted message in the chat stream that stands out from the crowd to get even more of your favorite creator's attention. And Super Chats remain pinned to the top of chat for up to 5 hours, giving more airtime for your messages." YouTube Super Chat is starting in beta form with three YouTubers including iHasCupquake, Alex Wassabi and Great Library. At the end of the month, Super Chat will launch in 40 countries (for viewers) and in 20 countries for YouTube video creators. I can't tell yet, however, what the revenue split is between YouTube and viewers. If someone pays for a Super Chat comment, does the cash go to YouTube or the creator? I'm pretty sure it's the latter, since this will replace Fan Funding, which was put in place for fans to give cash to their favorite YouTube channels, but my guess is there's some sort of percentage split.